This is more commonly known as the World Cup and is held once every four years. It just happens to be playing this June to July 2018 too. It’s hosted by FIFA, or the Fèdèration Internationale de Football Association. It’s also more popular than the Olympic Games, which are also held every four years. FIFA was inspired by the Olympic Games themselves, but they did it one step better. The first game was held in 1930, and almost every four years—delayed with WWII—and it looks like it’s going to be going for many more years. The FIFA games last for one month, before the big final between the remaining two countries. Besides putting the best teams against each other, many countries are still able to come together, despite international differences. During the 1908 Olympics, soccer was one event played during the Games. Women’s soccer was introduced in 1928 and is perhaps one of the most important female soccer games for competition. Back then, soccer was for amateurs and played more for fun than actually being a serious competition. But it has gradually become popular, and is now a professional event. Soccer is the most viewed event in the Olympics. These games only last 17 days, making it a bit harder to obtain tickets. But many people choose to watch the game on TV. This is the main football association in Africa. Football or soccer is one of the most popular sporting events on the continent, with many excellent players providing strong competition in FIFA and the Olympics. The Cup was founded in 1957. Since 1968, it has been held every two years in June, in a different city. The winners qualify for the next FIFA World Cup championship. The FA is short for Football Association Challenge Cup. This event occurs annually in England and is a men’s football event. It has a straight knockout format, not a multiple round format. The Cup first played in 1871. It has the distinction of being the oldest football competition association in the world. Each year a different city is chosen for the event. FIFA also hosts the Confederations Cup. It was founded in 1903 and is held once every four years. It’s also held in the same country as the World Cup is held that year. 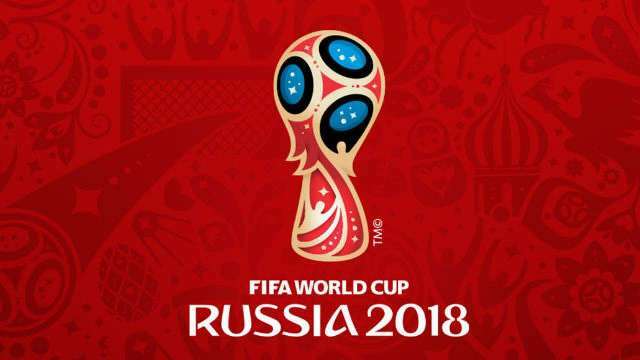 It’s the prelude to the FIFA World Cup and has great importance in setting the tone for the World Cup championships ahead. This is an international men’s tournament that is based in the Americas. Last 2016 was the centennial celebration of their championship. They also hosted for the first time outside of South America, in the United States of America. While this event isn’t as popular in the USA, it certainly boosted its identity. Perhaps tickets will be highly desirable for Americans when it works its way around again. UEFA stands for Union of European Football Associations Champions League. This is an annual competition that is played strictly between European football clubs. It’s one of the most prestigious of all sporting competitions in the world today, and the single more important event for European footballers. The UEFA leagues play all year long, or about ninety percent of the time, with a break for winter holidays. The qualifying rounds begin in July. The final championship is held in May of the following year. The most successful football club to date in the UEFA has been Real Madrid from Spain. They have won the championship for ten times. Trying to get tickets is extremely difficult for these events, due to football being one of the most popular sports in Europe. If you can buy tickets for any of these tournaments, it will be your once-in-a-lifetime chance to enjoy the game. If not, you can simply watch the game on TV. Many people also choose to place online bets, so at least you can have a more active stake in the game, even if you haven’t played football since university.